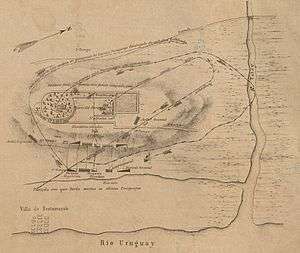 In the Paraguayan war, the Battle of Yatai was fought on August 17, 1865 between the troops of the Triple Alliance (Argentina, Brazil and Uruguay) and the soldiers of Paraguay near Paso de los Libres, Corrientes, Argentina. The Battle of Yatai was the first major land battle of the Paraguayan war, and most important of the war's second phase. 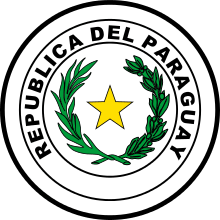 Following the decalaration of war by Paraguayan president/dictator Francisco Solano Lopez on Argentina, the Paraguayans immediately attacked with two columns. 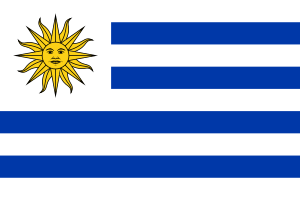 The original plan was that the first column, commanded by Wenceslao Robles, would seize Corrientes while a second column of 12,000 men, commanded by Antonio de la Cruz Estigarribia, would then advance to the east of Corrientes and capture Brazilian possessions on the Uruguay River. The primary focus of this invasion plan was the capture of Brazilian possessions, as this would prevent Brazilian expansion, a great concern of President Lopez. The other column would then capture Corrientes, distracting Argentine forces and creating a lifeline between Paraguay and the Atlantic Ocean. This plan was later revised so that two-thirds of the assault force would attack Corrientes and later divert southeast and invade Uruguay. In response, a military alliance was signed on May 1 among Argentina, Uruguay and the Empire of Brazil. Argentine President Bartolomé Mitre put Gen. Urquiza, governor of the province of Entre Ríos, in charge of facing the Paraguayan column. Urquiza called on his aid Paunero, who had retreated to Esquina. These forces were joined by a battalion of volunteers from Corrientes, led by Col. Desiderio Sosa, who had participated in the reconquest of Corrientes. Many future heroes of the History of Corrientes Province such as Santiago Baibiene and Plácido Martínez, were in that battalion. Meanwhile, the naval Battle of Riachuelo took place. During the course of the battle the Imperial Brazilian fleet destroyed the Paraguayan squadron near the city of Corrientes. This loss prevented the Paraguayan column Paraná River from providing support to the forces on the Uruguay River. On May 5, after invading the northwestern province of Corrientes, Gen. Estigarribia sent Col. Pedro Duarte in front of a small advance column to control the bank of the Uruguay River. Duarte took the city of Santo Tome Estigarribia's forces followed up and met him there four days latter. The army then crossed the Uruguay River and entered the province of Rio Grande do Sul, Empire of Brazil. They left behind them the column of Duarte, with more than 3,000 soldiers to defend Uruguay. 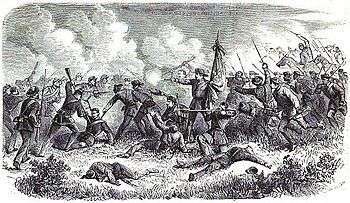 Combat of São Borja (July 10, 1865): 1º battalion of Brazilian volunteers defending their flag against the Paraguayans (according to a sketch of M. Mynssen). Estigarribia advanced unopposed to the south, taking on São Borja and Itaqui. In the meantime, Estigarribias's column was attacked and partially destroyed on the outskirts of São Borja, in combating Mbuty. Some of the Paraguayan forces were stationed in Sao Tome and São Borja while Duarte was heading south. Urquiza ordered Paunero to join him in Concordia, but the leader delayed the completion of Urquiza's orders. 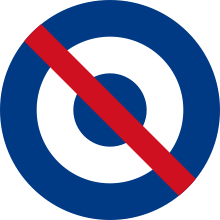 On June 4 the troops of Urquiza, who refused to fight the Paraguayans on the grounds of being considered allies against Brazil (which Argentina had frayed relations with), were disbanded. Uruguayan President Gen. Venancio Flores, fresh from his triumph over the white party or "blancos", marched to join Urquiza with 2,750 men. In addition, the Brazilian forces, commanded by Lt. Col. Joaquim Rodrigues Coelho Nelly, totaling 1,200 men, were heading their way. They met on July 13. At the first meeting Flores was given the Line Cavalry Regiment "San Martín", with 450 men, plus the artillery squadron East with 140 men. In total, Flores had 4,540 troops--not nearly enough to confront the Paraguayan columns. Flores, Duarte and Estigarribia marched slowly to meet and engage in battle, while Paunero's 3,600 men began a march through swamps and rivers, swiftly crossing the southern province of Entre Rios to join Flores. In addition, 1,400 of Correntina cavalry under Gen. Juan Madariaga joined their forces. Finally, Col. Simeon Paiva, with 1,200 men, followed closely by the column of Duarte. Estigarribia had a chance to destroy all his enemies one by one, but missed. He also disobeyed orders from Lopez, who ordered him to continue on his way to Alegrete: On August 5 he went to Uruguayana and ordered his troops to reorganize and gather supplies. The Brazilian forces of Gen. David Canabarro, too few to attack the column of 5,000 men of Estigarribia, were limited to camp near the city without being attacked by the Paraguayans. "Tell the great Duarte that if he intends to take over command of the Uruguayan force that I would fight the battle myself." Insulted, Duarte was prepared to give battle without any help. On August 13 Paunero avoided the army of Duarte and joined Flores, whose forces then numbered 12,000 men, nearly four times the force of Duarte. Duarte moved away from Paso de los Libres and took positions on the banks of the stream Yatay, near the village. There was a brief encounter on the afternoon of August 16, and at dusk the two armies were facing each other from a half-mile off. Map of the Battle of Yatay. Both the Yatay and Uruguay rivers had recently flooded, leaving much of the battlefield underwater. Most Paraguayan infantry forces were entrenched among trees and ditches in the area of the nearby village estates and protected by mud that covered the frontal approach, but the stream behind them made it impossible to retreat in case of a defeat, which was considered very likely by Duarte. Duarte's forces consisted of 1,980 infantry and 1,020 cavalry, with no artillery. The Allies had a total of 5,550 infantry, 5,000 cavalry and 32 pieces of artillery. Among the leaders of the allied army were experienced commanders Flores and Paunero, Lion Palleja, Ignacio Rivas, Enrique Castro and José Gregorio Suárez and Argentines Juan Bautista Charlone, José Miguel Arredondo, José Giribone Ignacio Segovia, Joaquin Viejobueno, Leopoldo Nelson, Simeon Paiva and Madariaga. 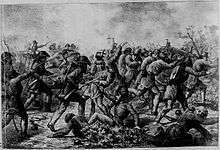 Defeat of Paraguayans at Yatay. The battle began at 10:00 a.m., with an early attack on the Paraguayan positions by the Palleja Infantry Division. Duarte seized the opportunity and countered with almost all his cavalry, causing hundreds of casualties and forcing them to retreat. Faced with an increasingly bad situation, the cavalry division of Segovia attacked the Paraguayan cavalry, supported by Castro's eastern and Suarez. For two hours the battle was fought exclusively with cavalry. Duarte ordered a withdrawal maneuver, which finally enabled the allied infantry to go into action, and although their (the allies) numerical superiority was overwhelming, the Paraguayans fought with tenacity. When the battle was almost lost, Duarte tried a desperate cavalry charge, and in the fight his horse was killed. Paunero himself demanded that Duarte surrender, which he finally agreed to do. A final Paraguayan force of infantry under Lt. Zorrilla crossed the Yatay stream and was attacked by a cavalry unit of Suarez and Madariaga, who attacked from the rear. A few hundred Paraguayan soldiers swam the Uruguay River, while the rest were killed or taken prisoner. In total they suffered 1.500 dead and 1,600 prisoners, including 300 wounded. Paraguayan soldiers, wounded prisoners of the Battle of Yatai. 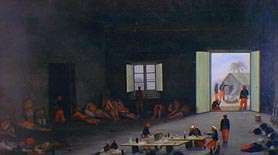 Among the prisoners, Flores found several dozen soldiers from the Uruguayan Blanco Party, supporters who had taken refuge in Paraguay who tried to wrest power in Uruguay from the hands of Flores' forces. He ordered their execution as traitors. On September 18, after having assured the representatives of the Brazilian Emperor that he would not surrender and would rather be buried under the rubble of Uruguay, Gen. Estigarribia surrendered with little resistance. Soon afterwards, the Paraguayan forces occupying the abandoned city of Corrientes retreated to the north, and soon moved on to Paraguay. Almost all of the war following was fought in Paraguayan territory until the country's complete defeat in 1870, which resulted in the loss of 70% of the country's adult male population. A street in the city of Buenos Aires, in the district of Caballito, is named after this battle. Giorgio, Dante A., Yatay, la primera sangre, Revista Todo es Historia, Nro. 445, Bs. As., 2004. 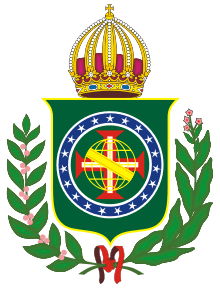 ↑ "BRASIL – 1865 – BATALHA DE JATAÍ". Fernandodannemann.recantodasletras.com.br. 1999-02-22. Retrieved 2012-02-09. ↑ León Rebollo Paz, La Guerra del Paraguay. Historia de una epopeya, Bs. As., 1965, pág. 74. ↑ Zenequelli, Lilia, op. cit. ↑ Zenequelli, op. cit., afirma que contaba en total con 3.200 hombres. ↑ Rosa, en La Guerra del Paraguay..., basado en fuentes brasileñas, asegura que tuvieron 1.700 muertos; tal vez sumase los 200 uruguayos y argentinos tomados prisioneros, y de los que buena parte fueron fusilados a posteriori por Flores, pero difícilmente lo hayan sido en su totalidad. ↑ Also ordered the execution of some soldiers federal Argentines, not recognized national authority Mitre, who had won three years ago by a rebellion against the Confederation Argentina. Gavier Diaz, op. cit., p. 38.